You deserve the finer things in life. Good food, drink and clothes. 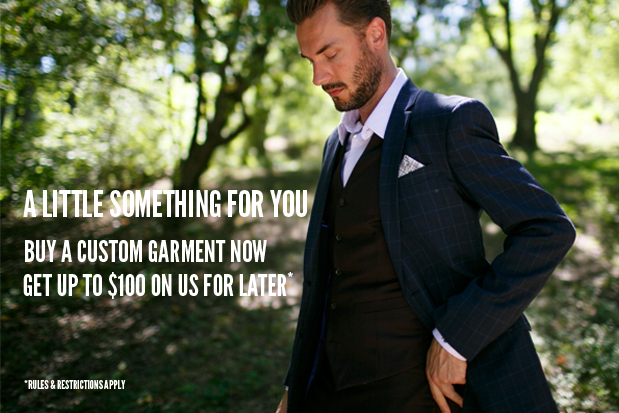 We want you to give you access to the best in suiting and shirting. We also want you to look your best in the new year. That’s why as we wind down 2017, we want to send you an extra something special to thank you for you for all your support. When you make a purchase $100.00 or more, we’ll send you a gift card valued at 10% of your order to spend in 2018. 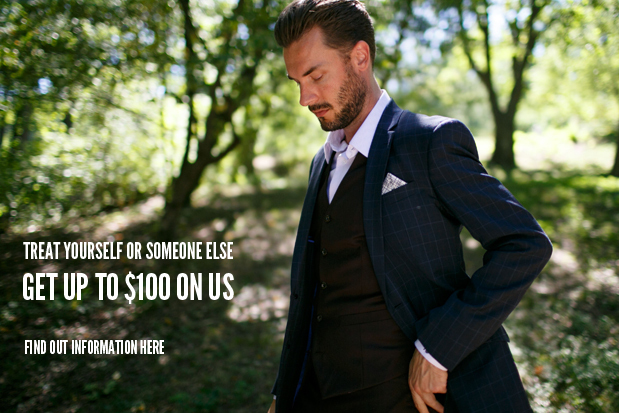 For instance, if you purchase a suit for $600.00, you’ll get $60.00 e-gift card to spend on your next full-priced purchase in 2018. Purchases can be made online, in person, over the phone or email. Bonus gift card will be delivered separately to your email. Minimum purchase to qualify is $100.00. Bonus gift card can be redeemed starting January 1, 2018. Valid for purchases made between 12/7/2017 through 12/31/2017 at 11:59 EST. Excludes gift card purchases made in person, over the phone or online. If initial purchase is refunded, the bonus gift card will be voided.